which featured in the BBC programe Volcano Live in your Hawaii Twin Centre Holidays or Hawaii Twin Centre Luxury Honeymoon. 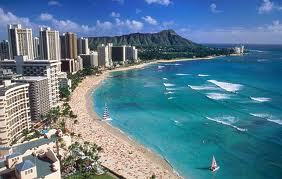 Lots of people see Hawaii as an add on beach destination after a stay in Las Vegas or some other USA city. Hawaii should really be treated as a main holiday destination in it's own right and for a special trip rather than just and "add on" after a stay in Las Vegas and New York. If you have never been to Hawaii you may not know that the term Hawaii is used for a number of islands. Spending more time in Hawaii will allow you to visit more than one Hawaiian Island, and see how different each island can be. Find Out More about the islands of Hawaii. Our experience shows that many people do not realise the distance you have to travel for a holiday in Hawaii and only see a small part of what is available. It is always a good idea to break your journey from the UK to Hawaii and a stopover in New York can be great for your outward journey with Las Vegas on your return. Be aware that special prices advertised can often mean connecting flights and a common route to Las Vegas is via Chicago and whilst there are flights from Las Vegas to Hawaii Oahu island, most return flights will go via Los Angeles or San Francisco. Many of the "special offer" New York Las Vegas Hawaii holidays have you staying in the party capital Waikiki. However, given the choice you may be more attracted to experiening the stunning natural beauty that is found on the island of Maui or Kauai or explore the active volcano Big Island Hawaii. The internet is great for finding deals on single centre holidays to short haul destinations and it can be easy to book online. Booking a twin or multi centre Hawaii holiday online which includes New York or Las Vegas may seem easy, as there are so many choices with many Holiday Companies trying to entice you with attractive prices. However many special offers advertised are based on a stay in Waikiki, Oahu island, Hawaii. That is fine if all you are looking for is a beach stay and happy to accept any hotel and location. You will see special offers advertised online, which are generally for departuires during winter months. If you are departing in April or May the price rises by £100 per person. If you are going in June, July or August, the price is likely to rise again by another £200. If you need to go during peak school holiday dates you are likely to pay more again. If you want to be away for Christmas and New Year the actual price that you pay is likely to be double the price charged at off peak dates. The choice of hotels for New York Las Vegas Hawaii "special offers" is often limited to one per destination, and in reality the individual hotels featured are likely to be unavailable at popular departure dates. With any multi centre holiday you need flights, and the special price shown may only be for departures from London Gatwick or Heathrow which is not very convenient if you live in Newcastle or Glasgow. Flights may not always be direct to your destination, but include connections. You should be aware that online booking systems will generally show a connecting flight with a departure time after the arrival of your original flight, but made display a combination of flights which are not practical in reality, when you consider the need for additional time for enhanced security at the connecting airport. This could mean that you miss your connecting flight and left to make your own arrangements at additional cost. make a perfect way to combine two very popular destinations. 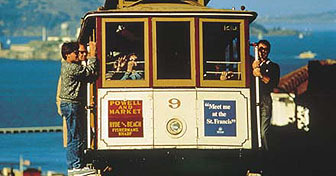 Some people prefer Twin Centre Luxury Holidays Hawaii San Francisco. including Kuoni, Virgin, Thomson, Hayes and Jarvis. Popular Las Vegas hotels include the 4 star New York - New York Hotel and Casino, the 5 star Venetian Resort Hotel Casino and the 4 star Signature at MGM Grand. Get More Information on Las Vegas Hotels and a guide to prices for Holidays staying in Las Vegas. Waikiki is located in Honolulu, on the island of Oahu. Popular Waikiki hotels include the 4 star Outrigger Waikiki On The Beach Hotel, the 5 star Trump International Hotel & Tower and the 4 star Outrigger Reef On The Beach Hotel. Get More Information on Hawaii Hotels and a guide to prices for Holidays staying in Waikiki, Honolulu, Hawaii. Other Hawaiian islands have a different character. Maui, also known as the Valley Isle, due to it's landscape between two mountains, is the second largest island in the Hawaiian chain. Kauai is one of the oldest Hawaiian islands as well as being one of the smallest, at only five hundred fifty square miles. Big Island is the home to an active volcano but has plenty of room for accomodating tourists, and the west of the island is very popular with scuba divers. View some examples of Las Vegas and Hawaii Twin Centre Holidays and Multi Centre Holidays below. Book 14 night (7 plus 7) Holiday - from £1,489 GBP p.p. Book 14 night (7 plus 7) Holiday - from £1,359 GBP p.p. Book 14 night (7 plus 7) Holiday - from £1,329 GBP p.p. Book 13 night (7 plus 6) Holiday - from £1,748 GBP p.p. Book 13 night (7 plus 6) Holiday - from £1,689 GBP p.p. Book 13 night (7 plus 6) Holiday - from £1,719 GBP p.p.